Recently, while attending the Global Workspace Association Conference, I had the pleasure of hearing Tom Wujec, the man behind the marshmallow challenge, speak. The primary theme of his talk was using visual communication to help teams better understand each other, achieve clarity, and foster innovation. One of his most cleaver and fun methods is to challenge teams to build the tallest tower they can out of dried spaghetti and tape, topped with a marshmallow, in 18 minutes. There are some general themes Wujec discovered across many challenges. Children tend to perform better than adults, adults tend to cheat more that children, executives work better with an assistant, and everyone communicates better when they work in silence. AdvantEdge challenges you to take on the marshmallow challenge with your team and see what you can learn about communication and team building. 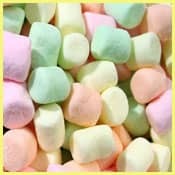 Sometimes simplifying a complex process like communication down to something as basic as a marshmallow is just what the doctor ordered to cure corporate woes. If marshmallow towers are not for you, there are plenty of other team building activities available online. Please share with us what you learned so we can all work together to build a better business community.